We listen to your story & learn about your unique needs. Asking focused questions, we develop a thorough understanding of your goals and objectives and the unique needs of your culture. Throughout the process, we want you and your employees to be very familiar with where we are headed as we are committed to earning the trust and respect of you and your team. Bottom Line: We offer suggestions and strategies based on your unique needs and input - but you decide what you will do and the pace at which you will move. We help you define what needs to change & how to overcome obstacles to high performance. We help you define what needs to change while preserving those elements of your culture that have made your organization successful and uniquely your own. Our intent is to partner with you and adapt our approach to fit your culture - not impose our agenda on you. 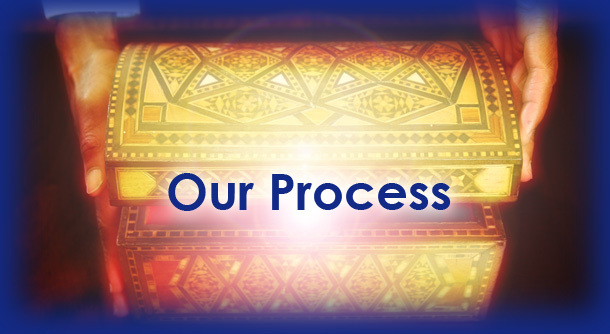 We welcome and invite questions as we all learn from the process. This helps to create ownership in the resulting strategy. Bottom Line: We help you change your perspective which in turn changes behavior. This new perspective is the catalyst that transforms your culture as we work together to create a high performance strategy. We develop and implement a transformation strategy to achieve organizational success. Bottom Line: We help you achieve organizational success through a transformation strategy that combines individual development, teambuilding and operational improvements. We deliver results as well as transfer our skills & knowledge to your team for long-term, sustainable results. Our commitment to you is two-fold - to deliver improved performance and the positive financial result it will achieve, and to transfer the skills and knowledge you need to sustain high level performance. We validate your return on investment through financial and operational metrics as well as document intangible results, such as improved morale and increased collaboration. Bottom Line: We believe in and live by accountability. For this reason we invoice and validate our performance with you monthly. We commit to you guaranteed results or you do not pay for our services.